Homepage for Author Mark Carver: MEGA-DARK BOOK BLOG TOUR: JESS HANNA - "THE ROAD TO HELL"
MEGA-DARK BOOK BLOG TOUR: JESS HANNA - "THE ROAD TO HELL"
My next guest for the MEGA-DARK BOOK BLOG TOUR is Jess Hanna! 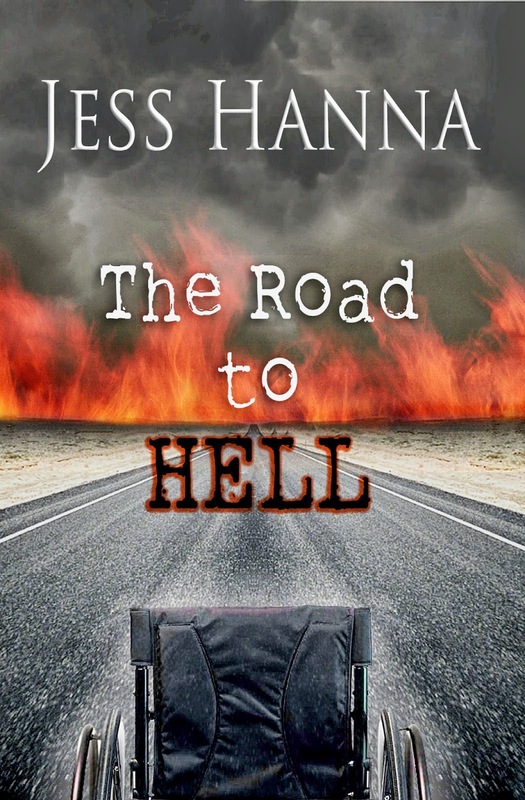 In this post, I will be talking a bit about the experience of writing, editing, and publishing my first book, The Road to Hell. I want to thank Mark Carver for hosting me on his blog for this stop on the Mega Dark Book Blog Tour. 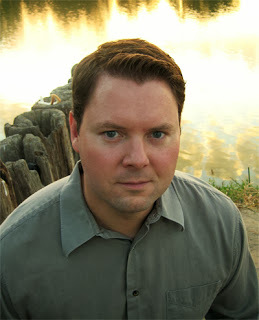 It may sound cliché, but when I started writing my first book I found that the entire story took on a life of its own. To be fair, I was sort of winging it, letting the process take me wherever it wanted me to go. It took me to a more interesting place than I first imagined. 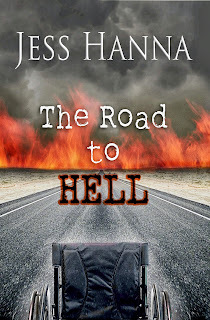 As I have posted before, I wrote The Road to Hell at my kitchen table with an overheating laptop (I'm still using it as of the writing of this post) amidst the chaos of five people living in a two bedroom apartment. Needless to say, it was never quiet. But I have always been one to have short sessions of intense, focused work while the world falls apart around me. With the main character, Luke, I purposely made him as average as possible. He worked at a job that bored him and was not passionate about, or even very good at, but he lacked the ambition to change his situation. It was only when he was fired that he truly began to take stock of his life and consider his options. Then the unthinkable happened and his life took a right turn into darkness. After I had finished the book, I went through the painful process of editing it about 5 or 6 times. It was a horrible experience and I don't recommend it unless you have a desire for self-flagellation, but it was necessary to get the story, consistency, and grammar correct, or at least as close to correct as I could. I even had to do a complete re-edit after it was released and fixed over 2,000 mistakes. After my second or third draft, I sent the book to many agents and publishers, which generated some interest, but no bites. After months of follow ups and searching for someone, anyone, who would publish an unknown author, I turned to self-publishing. That was a difficult journey in its own right, but I learned about formatting my work for The Meat Grinder (on Smashwords), Kindle Direct Publishing, and Create Space. My wife was gracious enough to create the graphics and design my cover, along with trying to keep me sane. For anyone considering writing a book, I have no other advice than to just do it. It is the most frustrating, gut-wrenching, scream inducing, and also rewarding thing you could ever do. I learned so much over the course of bringing this book to life, and would not trade that experience for anything. The words in my head bled onto the page and have now traveled the world. And for that, I am grateful.